Speak now or forever hold your peace? Romeo and Juliet is more than a Shakespearean tragedy about teen lovers trying to break free of their oppressive parents. It is a phenomenon recognized by some social scientists as “the Romeo and Juliet effect:” Johnny and Jane fall in “love;” their parents say, “over my dead body;” and puppy love that might have faded becomes passion. Young lovers bent on proving their parents wrong cast themselves in a romantic drama that hurtles toward the altar. What is the father of the bride or the mother of the groom to do when a child seems hell bent on marrying badly? Back off a bit, is the advice from a group of researchers at the University of Colorado who studied the effect of parental interference on their children’s affairs of the heart. (“Parental Interference and Romantic Love: The Romeo and Juliet Effect,” Journal of Personality and Social Psychology, Vol 24, 1972.) Apparently, the more parents object, the more intense the love connection becomes. But when parents bite their tongues, young love is more likely to run its course and fade. 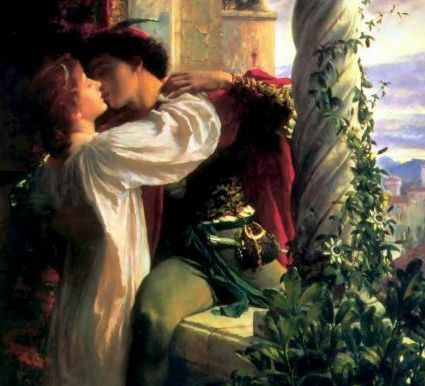 The original Romeo and Juliet research has been called a statistical fluke by some subsequent researchers who factored in the contemporary phenomena of expanding social networks and the influence of friends’ approval and disapproval. But those newer studies still find that parental disapproval can later sabotage the marriage they tried to stop. It’s hard to escape the conclusion that “back off” is still the best advice for parents. There are subtle societal forces at work on your marriageable young adult. The good news is, their generation is putting off marriage to a later average age, in large part because they see it as something to do after school and career launch, not before. But they also are more aware of the fluidity of marriage – easily entered into and easily discarded. If your adult children make it to their mid-20s without tying the knot, their brains will be more developed, along with their ability to make rational choices. If their marriage choices are made earlier when they are naturally pushing away from parental control, what Mom and Dad don’t want looks mighty appealing. It was in those betwixt and between years where the Montagues and the Capulets went wrong. Had they told Romeo and Juliet to have a nice time and be home by curfew, the shine might have faded from forbidden love. The lovers might have gone off to different colleges, postponed marriage for a few years and lived happily ever after with someone else. Which is not to say that parents should abdicate when a young adult is on the bumpy road to a bad marriage. The authors of the Colorado study advise a deft approach using gentle persuasion instead of punishment. Take your cues from your adult child. If they don’t want to talk, then smile and tell them you will be available when they need you. Don’t burn your bridges by criticizing a fiancé who may someday be a member of the family. Find something nice to say about Jane or Johnny. Welcome them into your family circle often during the courtship and use those gatherings to model good family and spouse relationships. With any luck your child will notice if their beloved is out of sync with what they have been raised to expect in a healthy marriage. You don’t want to miss the next installment. Subscribe here to receive email notifications of new posts. Oh, wow! I wish we could sit down and talk about this one, because I think we may disagree more than we agree and I would love to hear more from you (respectfully, of course)! When I was about 12 I asked my mom (in the fallout of another abusive attack from my dad) why she married him. She met him – she was a nurse and he was a patient – in the rehab ward and clearly knew he had demons. Her reply perplexed me so much that I promised myself to do exactly the opposite. She said, “You cannot help who you fall in love with, Amy.” So, at 12 years old I created what I call a “no-go” list. Top on my list was alcoholic. If I went on a date with a boy and they did something on my “no-go” list they did not get another date. I stayed friends with all but a couple of boys I dated and the list grew with each relationship. And, I was determined to fall in love on purpose. I met John (my husband) when I was 16 and my parents disapproved intensely. They did eventually forbid me from seeing him. My in-laws on the other hand welcomed me as part of the family the first time I met them. They invited me for dinner or weekend activities every week (during the summer everyday). I admit freely that my family was from the wrong side of the tracks and my in-laws had every justification to oppose our relationship, but the only requirement they had was that John finish college before we married, and we honored that (getting married 14 days after we graduated in a snowstorm!). I have passed my idea of a “no-go” list to both of my kids and encourage them to really get to know their dates (not just texting and Snapchat) so that they can fall in love on purpose too. And, when they bring someone home (and honestly, I think I’m more heartbroken after the breakup than they are!) I try to remember how kind and open minded my in-laws were to me and respect that my kids think this person is important in their lives so that I don’t damage my relationship with my kids or potential son/daughter in-law. I agree with Shakespeare on this one, marry early, grow up and grow old together and marriage should be forever (just close the hatch and agree to never mention the D word). I can’t see any way to disagree with you. I never have and won’t break that record! Your “no-go” list is an awesome idea. As I tried to say in the blog, a parent better have pretty good reasons to object to a marriage. Your parents didn’t, except maybe your age. Sounds like John’s parents had the same reservations, but dealt with them in a positive way that led to a fantastic marriage at the right time. Love you, my friend. Love you too, Daryl! Miss you all the time!! I talked to an older friend who has five adult daughters. One married badly. I asked the mother if there were any red flags when that daughter was dating. She said there were, but she and her husband hadn’t acted on their concerns. When a younger daughter began to get serious with a young man, and there were red flags, she and her husband decided to act. The mother had wanted to take her daughters to Europe for a month, but had delayed the trip. Upon considering the situation with the younger daughter, she decided “now was the time.” She planned the trip, she and her five daughters went to Europe for a month, and, by the time they returned, her daughter’s love for the questionable young man had faded. She later married a wonderful young man and they have a beautiful family. Perhaps sometimes a little creative problem solving can go a long way.